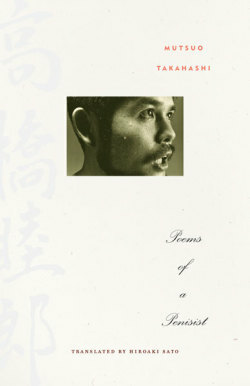 Poems of a Penisist by Mutsuo Takahashi. Translated by Hiroaki Sato. Twelve Views from the Distance by Mutsuo Takahashi. Translated by Jeffrey Angles. The University of Minnesota has recently published two remarkable volumes of Japanese literature in translation by one of Japan’s most significant contemporary poets, Mutsuo Takahashi: Poems of a Penisist, and the memoir, Twelve Views from the Distance. Both books were originally published in Japanese in the early 1970s. Although the book of poems was translated into English in 1975, the memoir was not translated into English until 2012. These two volumes, which inform and complement each other, fill a gap that has too long existed in the corpus of contemporary Japanese literature in English translation. Reading the memoir alongside the poems brings a fuller and a deeper appreciation of Takahashi’s achievement. 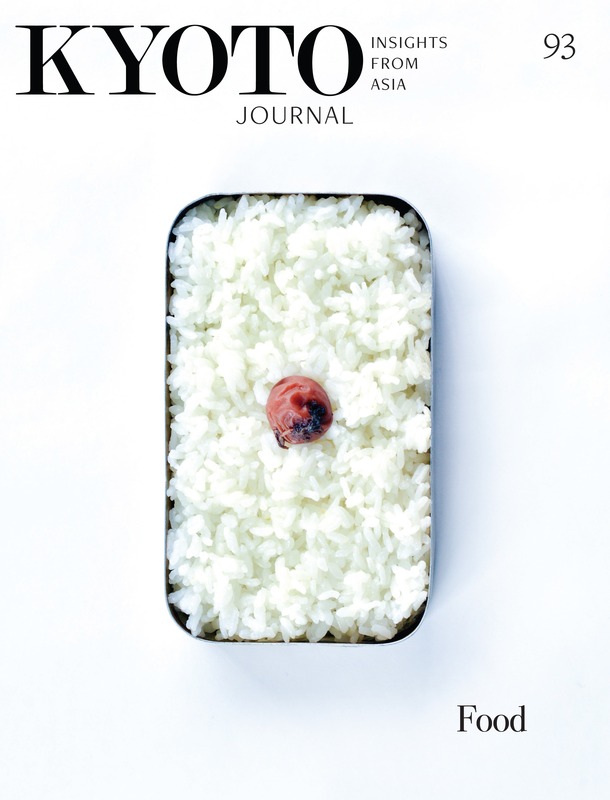 Takahashi’s poems and prose remain fresh in English, which is a credit to his poetry as well as to his outstanding translators, Hiroaki Sato (poetry) and Jeffrey Angles (prose). Their translations bring the Japanese into English in such a way as to make the writing feel and sound as alive in English as in Japanese. Far from sounding dated, Takahashi’s poetry and prose, despite their having been written forty years ago, continue to speak with urgency. In both the prose and poetry the reader finds a man engaged in an elemental struggle to know and understand himself in relation to world around him: social, natural, and supernatural. One feels in reading him that he calls upon his art as a means to negotiate this difficult territory. His prose and poetry succeed in showing us a life afflicted with the experience and knowledge of suffering and loss, but also one of strength and courage. One of Takahashi’s poem that embodies the bold assertive mix of spirituality and physicality is his poem “Christ for Thieves.” Here, we find a generosity of spirit that speaks not only of the poet’s concerns but of the concerns of many others as well. It is a poem of prayer, in which the speaker asks God “. . . to be the father of homosexuals / One infinitely gentle.” It is a poem that brilliantly subverts the reader’s expectations at the end of the poem by swerving away from the solemn prayerful tone it establishes early on to close with the speaker humorously asking God to fulfill his one physical desire for “. . . a tiny tiny happiness / a manly lover.” In bringing his physical desire into the very center of his prayer, Takahashi succeeds in giving physical desire a place within the sacred spiritual realm. Twelve Views from a Distance, the memoir, is translated by the American poet and scholar Jeffrey Angles. Unlike the book of poems, the memoir is newly translated. Angles notes in his introduction that the memoir is “a book so colorful, so richly crafted, and so vivid that it allows the reader to live within Takahashi’s memories as intimately as if they were the reader’s own.” The great Japanese novelist Yukio Mishima would no doubt agree. When he read the book in the 70s he was equally enthusiastic, saying the “firm prose . . . shines with a dark luster much like a set of drawers crafted by a master of old.” Such an exceptional work being translated into English and published is truly an event to be celebrated. Whenever it seemed feasible I have tried to leave terms referring to elements of Japanese culture in the text. To give some simple examples, I have chosen to use the word “tatami” instead of the more explanatory “straw mat,” or “shoji” instead of “‘wooden lattice door covered with paper or frosted glass.’” In doing so, I hope to invite readers into the world of the Japanese text to meet Takahashi and his family in their own territory. At the end of the book, Angles has placed a glossary listing some of the Japanese terms used, along with some additional cultural information that helps to enrich the text. The title Twelve Views from the Distance serves as somewhat of an explanation. Each of these twelve individual views from the distance is a single mirror, independent of the others. I wanted these twelve mirrors, when brought to conclusion, to form a circle so that they would reflect off one another, illuminate one another, and create a world through the interplay of their light and reflection . . . Perhaps it would be better to say that this was my hope for these chapters rather than the grand design behind them. The essential story concerning the various “views” investigates roughly the first fifteen years of Takahashi’s life, a time in which his widowed mother (his father dies at the age of twenty seven) leaves him with his grandmother and other family members for long stretches of time as she travels far from home, even to China, ostensibly to work and support the young Takahashi, who is little more than an infant when she first leaves. It is also a time in which Japan is engaged in both war and then in its aftermath. To read Takahashi’s personal accounts of his impoverished childhood growing up in a rural northern Kyushu coal mining region, within a tight-knit family that suffers greatly from hunger, illness, death, and war is a searing tale of how a child survives great loneliness and loss and finds his way into art and the belief that there are indeed guardian spirits among us. But in another sense, we must also value this work as historical testament for what it says of Japan and what the country was like for a child growing up during those harrowing years. Unlike most of my genealogy, he had a kind of gallant, dignified, and beautiful mien, and was also bright. Because my grandparents weren’t well-to-do, he had been working for the railway since graduating from junior high school; and he had earned a good reputation there as well. He was practicing judo and karate in his spare time, and his entrance alone would fill the room with a pungent male smell. He was the first man I revered. He was beautiful, bright, and strong. He went off to the front and died, in Burma, from a disease contracted in war. Year by year I add to my age, but this young god eternally remains twenty-two years old. 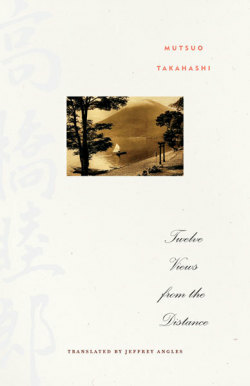 Takahashi’s poetry and prose in these superb translations provide an exceptionally riveting experience, an experience that contains fiction, truth, and just about every human emotion one can imagine, chief among them, love and desire. In the end, it is a story of art and the power of poetry to redeem not only the individual but the world. Gregory Dunne is a poet, KJ associate poetry editor and author of A Quiet Accomplishment, Remembering Cid Corman. An excerpt of this book is featured in KJ 81.